Where Roots And Wings Entwine: Baby bath time and baby massage with JOHNSON’S® for bonding and happy, healthy baby development. 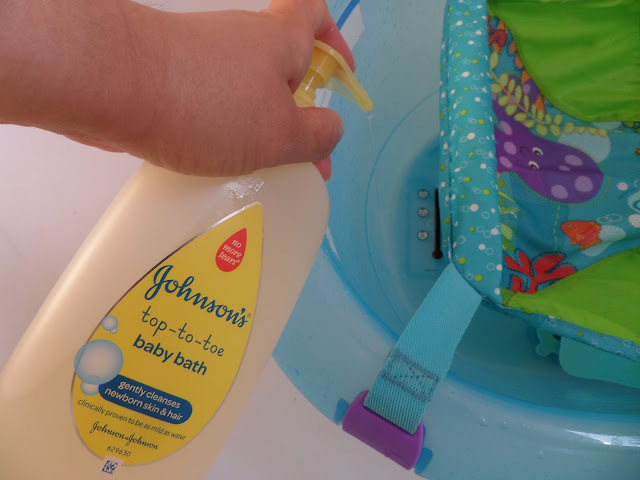 Baby bath time and baby massage with JOHNSON’S® for bonding and happy, healthy baby development. 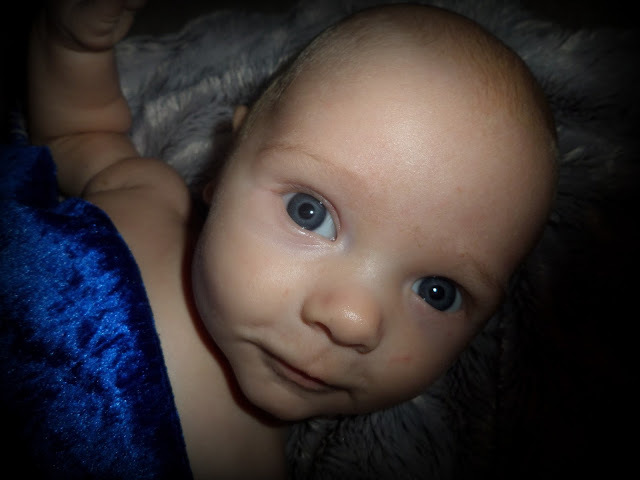 When I was pregnant with Jelly Bean when I would lay down to have a little rest feeling him kick and wriggle inside of me I would find myself thinking about all the things I could not wait to do with my little bundle of love. My thoughts would turn to when Bug was a baby and of all the precious moments we shared together, creating cherished memories and a beautiful bond. Being especially fond of the first few precious baby months, as Jelly Bean grew inside of me I had the those special baby bonding moments to look forward to once again. Whilst I have treasured memories of many wonderful moments with Bug and enjoyed so many things with him as a baby, one of the things I especially loved were bath times. Bug’s love of baths was sparked when he was a baby where he would enjoy bath times followed by a pampering baby massage. I believe our bath time routine with baby massage not only helped care for Bug’s delicate skin but also ignited Bug’s love of baths, strengthened our bond and supported happy, healthy baby development. 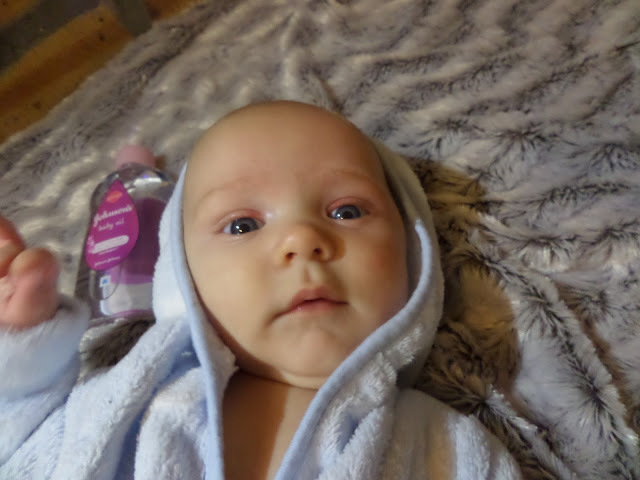 As I saw the benefits of bath time and baby massage with Bug I was keen to have a good bath time routine and plenty of baby massage with Jelly Bean from very early on. Now that Jelly Bean is here is I am relishing having a beautiful baby to care for once again. 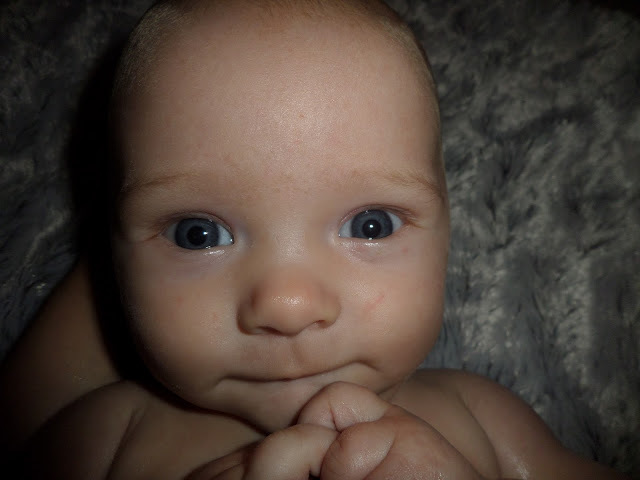 I love every single second with Jelly Bean, cherishing those newborn days that are passing by ever so quickly and enjoying the benefits and beautiful times of one-to-one time and making the most of bath times. For me bath times are not just for keeping my baby’s skin clean and cared for, it is also a time to bond and play with my baby. Our baby bath time routine begins with a peaceful yet fun bath then a stimulating baby massage followed by a loving cuddle, all of which evoke baby’s senses and helps keep Jelly Bean happy and content. As renowned baby skincare company JOHNSON’S® love babies and are experts in skincare products that are mild and gentle on baby’s soft skin like many mums before me – for over 100 years in fact – I put my trust in JOHNSON’S® baby skincare products for baby bath times. 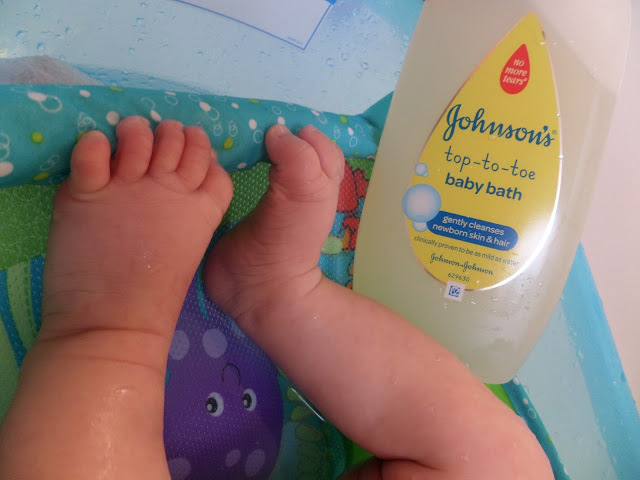 As it is clinically proven to be as safe and as mild as water I use JOHNSON’S® TOP-TO-TOE® Baby Bath for our baby baths. Thanks to its mild formula I feel confident that Jelly Bean’s delicate skin is gently cleansed from top to toe. As well as being important for caring for baby’s skin and bonding, I believe that baby bath time is also an important and ideal time for stimulating your baby’s senses. Baths can evoke your baby’s senses through touch, sound, smell and sight. 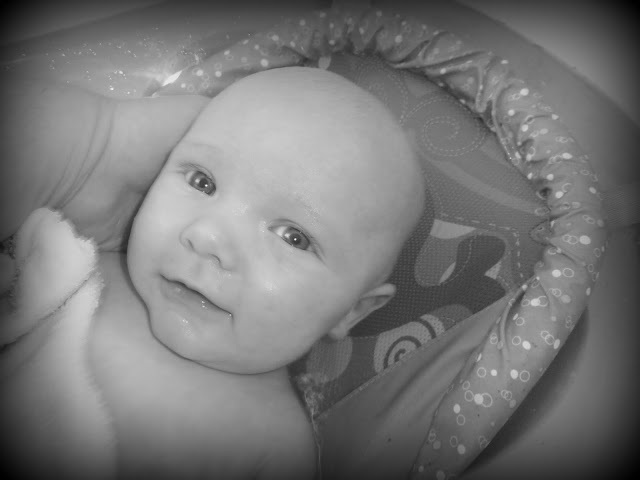 To stimulate Jelly Bean during bath time to encourage baby sensory development I like to make bath times fun. Cleansing and cleaning his delicate skin with JOHNSON’S® TOP-TO-TOE® Baby Bath stimulates his sense of touch. As I bath Jelly Bean I talk to him exciting his sense of sound and helping lay the foundations of language development. 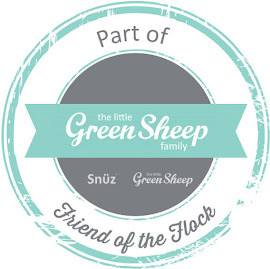 The TOP-TO-TOE® Baby Bath’s clean and gentle aroma arouses his sense of smell. 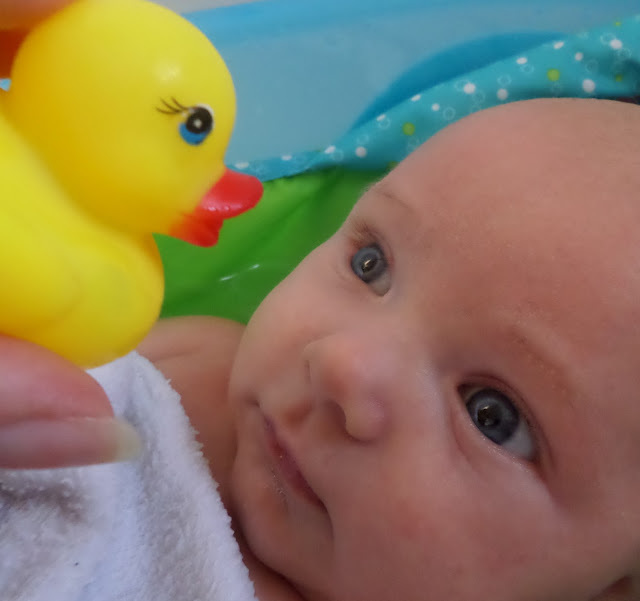 To spark his sense of sight I like to interact with him using baby bath toys along with bubbles galore and gentle splashing fun. I love knowing that my loving touch and interaction during bath times is supporting my baby’s healthy social-emotional development and enhancing his motor skills. It is truly heart-warming to see Jelly Bean love his baths as he gazes up at me with his big eyes, smiling and babbling to me as he blissfully enjoys the loveliness of the warm water. When Bug was a baby I learnt the art of massage and how a peaceful massage not only helped me bond with my baby and stimulate his senses but it also helped him sleep better. 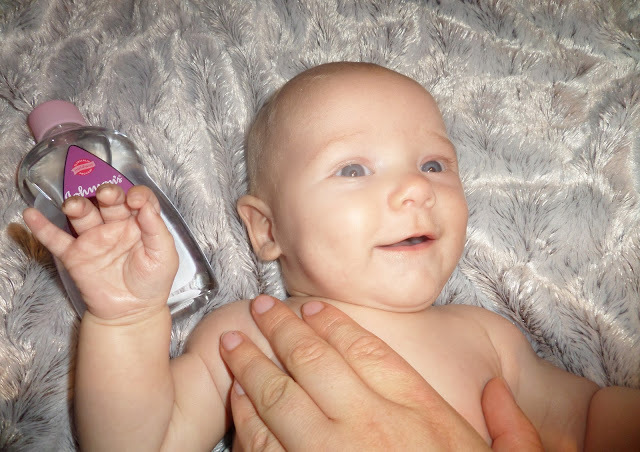 As I found massage to be a magical and helpful experience with Bug I was keen to introduce baby massage into our bath time routine from when Jelly Bean was first born. 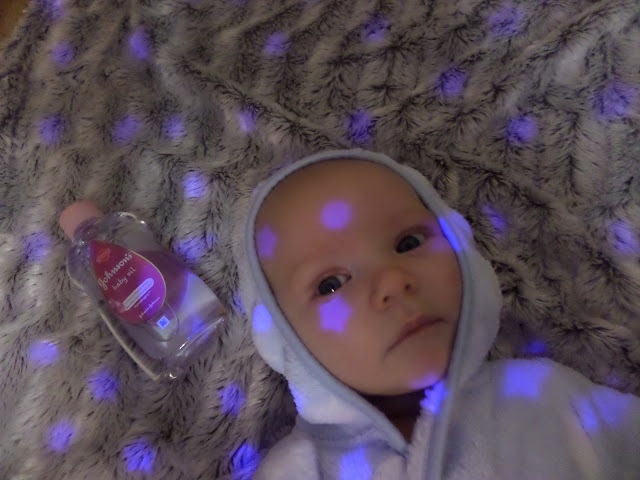 To massage Jelly Bean after his bath I use JOHNSON’S® Baby Oil as it is hypoallergenic, dermatologically tested and developed for newborn skin. 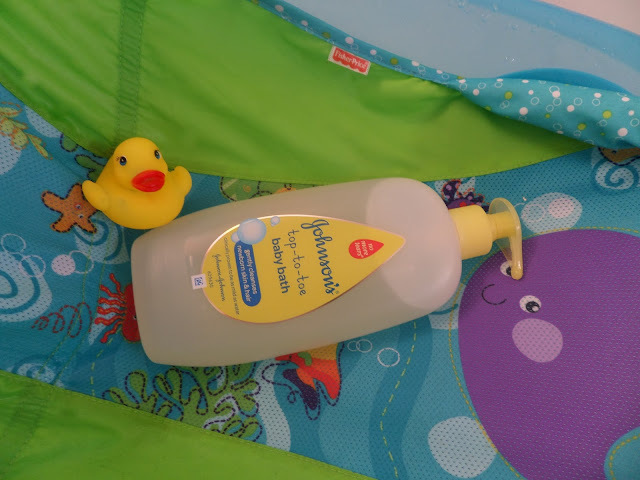 I love that Jelly Bean is benefitting from the magic of touch thanks to baby massage and as I use JOHNSON’S® Baby Oil his skin is benefitting too as the silky oil locks in more than double the moisture than baby lotion leaving his skin soft, glowing and protected. As I massage Jelly Bean I love that I am not only nurturing his skin but also enjoying a multisensory experience with him as his senses are stimulated. Massage is a great way to strengthen our bond as our love filled time evokes smiles, gurgles and giggles as Jelly Bean gazes up at me with his beautiful blue eyes. As well as stimulating his sense of touch by massaging I also stimulate his sense of sound by talking to him, singing songs and playing music. To stimulate his sense of sight I often use his projector lights plush as he loves gazing at the twinkling stars that shine above. Using the lights is also a way I involve Bug in the bath time and massage routine so he does not feel left out all of the time, with Bug being in charge of turning on the lights, changing the colours and playing the music. Not only does doing this help Jelly Bean visually it also creates a calm and peaceful atmosphere which is ideal for relaxing him before bed. As there are so many benefits to baby bath times and baby massage daddy also enjoys experiencing the bath time routine with Jelly Bean. 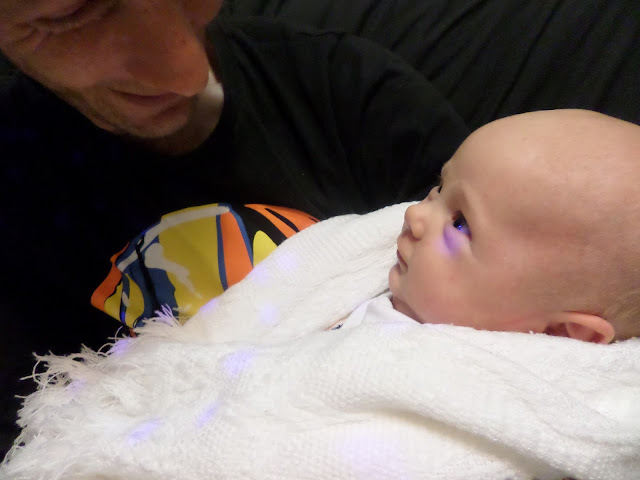 Being able to bond with Jelly Bean through baths and massages is valuable to daddy especially as he misses out on the bonding experienced by feeding baby as we breastfeed exclusively. Baby massage has been invaluable for helping daddy and Jelly Bean bond with both of them benefitting from the experience. Thanks to baby massage we have a happy Jelly Bean. Not only does Jelly Bean benefit from the bonding, stimulation of senses and health benefits of baby massage but it also helps him sleep deeper, longer and more content for a goodnight’s sleep. Having benefitted from and loved baby massage with my two children I would highly recommend including baby massage in your bath time routine from an early age to help your baby develop and build a strong bond between you and baby. 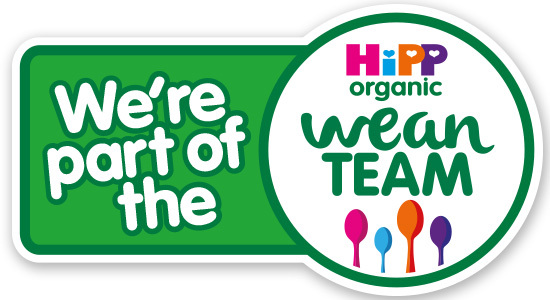 For more information about JOHNSON’S® Baby Expertise and their products take a look at the JOHNSON’S® website and join them on the JOHNSON’S® Baby UK facebook page for news, tips and advice about all things baby. Include massage in your baby bath time routine today to enjoy all the benefits of baby massage for bonding and happy, healthy baby development. My daughter loves massage, and she would really rate that projector light too - she always enjoys the lights at baby sensory! 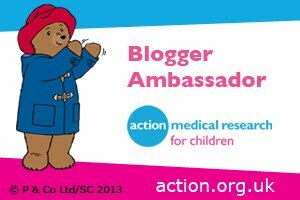 I've wanted to try baby sensory with Jelly Bean as I think he would love it but unfortunately we have no classes or groups ion the area. Awww exciting another baby :) Johnson's are so well known and trusted aren't they. Ahhh cute, looks like he really enjoyed his massage. My babies always loved a bath and massage before bed. Thanks he loves a massage, loving the pampering and special attention. A massage is always good for relaxing before bed I find. It is a lovely bonding experience. I love it. As I mentioned it has also been good for my partner to bond with them. I did baby massage with my baby when he was 3 months old, but I wasn't sure that he was really fussed by it if I'm honest. I loved the social side of it though. Looks like bath time is lots of fun in your house! I also loved baby massage when mine were little - your post made me miss those days!